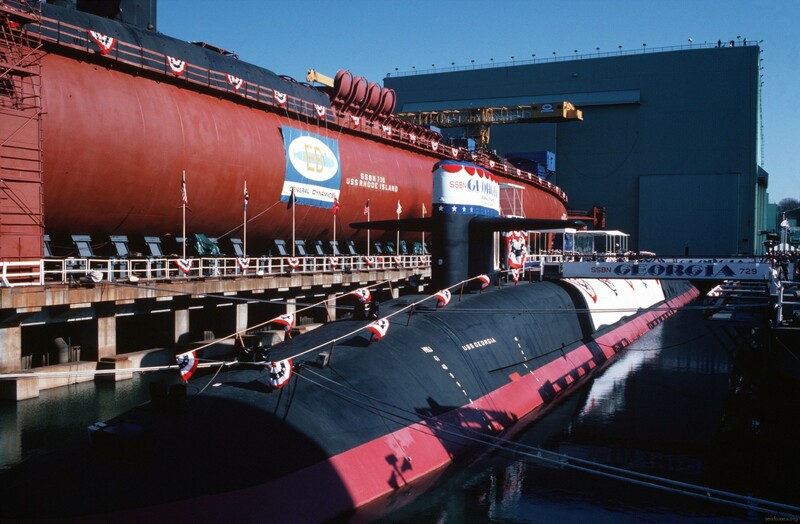 Ohio Class Ballistic Missile Submarine: Laid down, 7 April 1979, at the Electric Boat Division of General Dynamics Corp., Groton, CT.; Launched, 6 November 1982; Commissioned, USS Georgia (SSBN 729) on 11 February 1984. 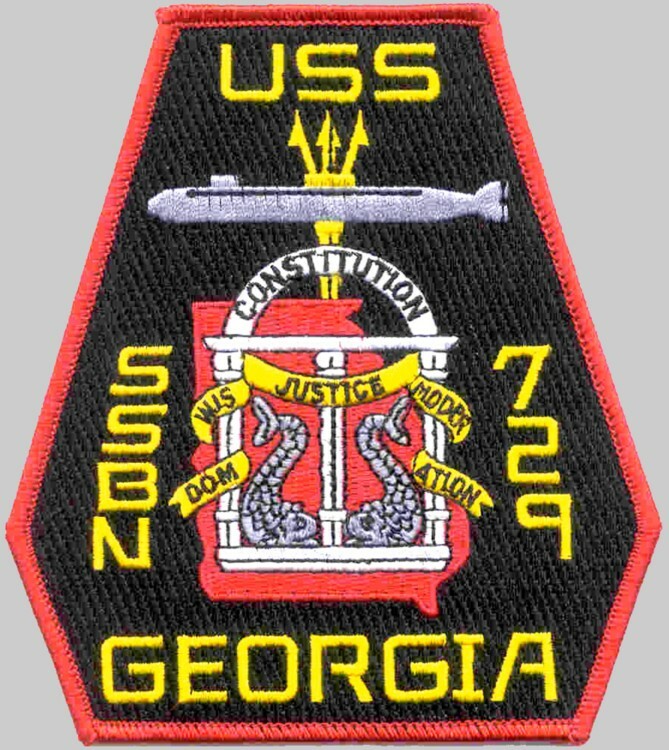 USS GEORGIA (SSGN 729) is the fourth TRIDENT Class Nuclear Powered Fleet Ballistic Missile Submarine and the third ship to bear the name of this grand state, one of the thirteen original states of the union. 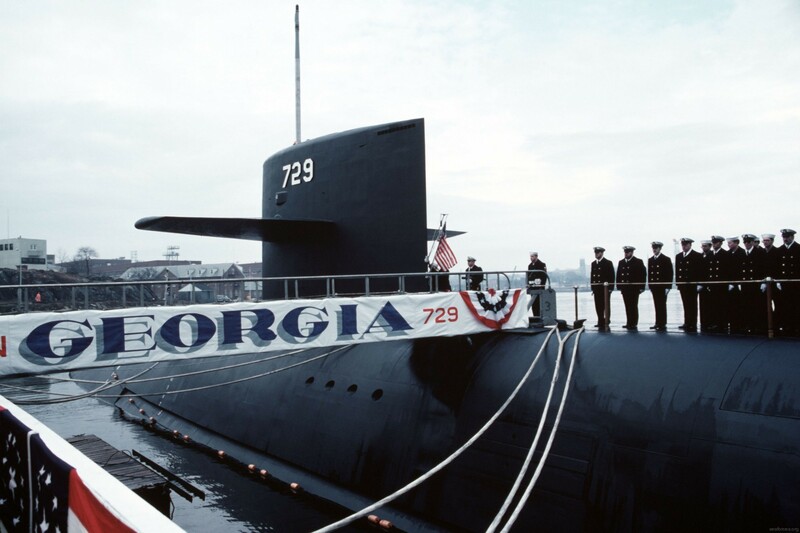 The keel for USS GEORGIA (SSGN 729) was laid on 7 April 1979 and was presided over by First Lady Rosalyn Carter, wife of President Jimmy Carter, both Georgia natives. Mrs. Carter's initials can still be seen on the ship's keel. 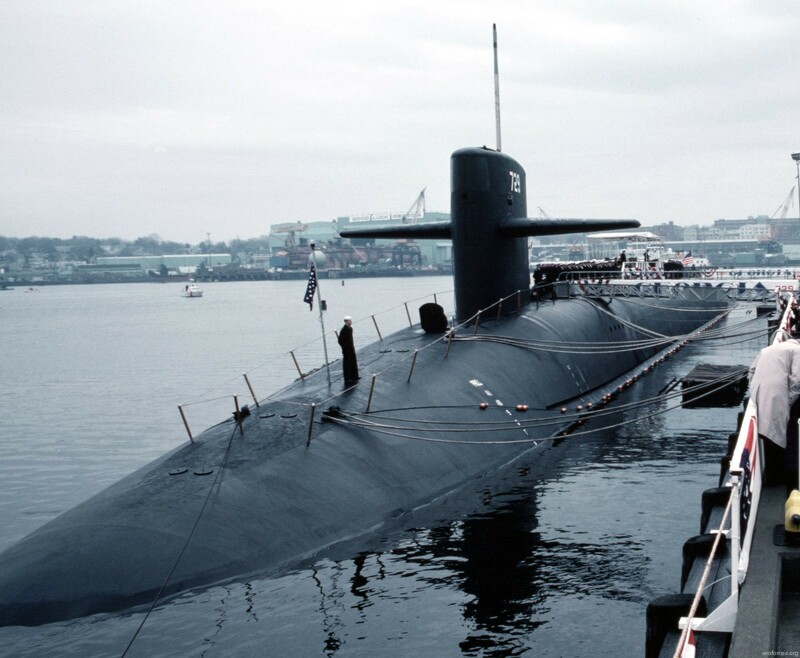 On 5 November 1982, USS GEORGIA was launched by Mrs. Sheila Watkins, wife of Admiral James D. Watkins, Chief of Naval Operations, who served as the Commissioning Officer during USS GEORGIA's commissioning ceremony held on 11 February 1984 at the Naval Underwater Sound Laboratory, New London, Connecticut. 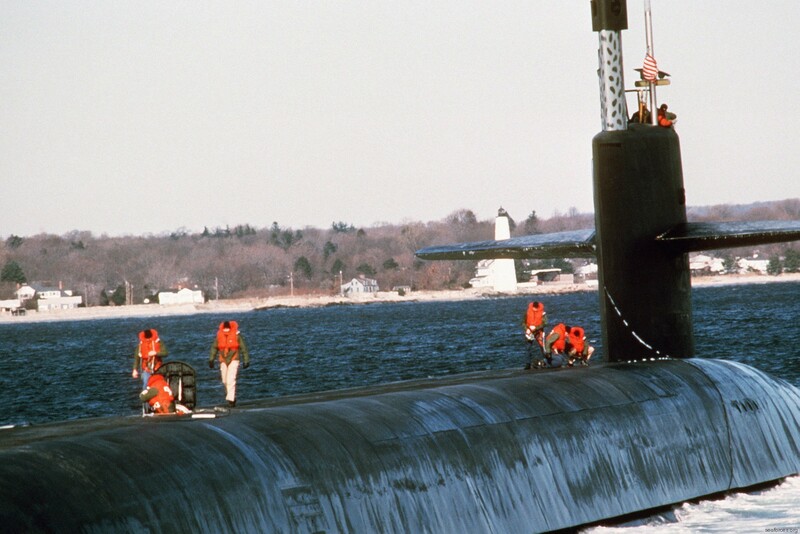 In November 1984, USS GEORGIA arrived in her home port of Bangor, Washington. 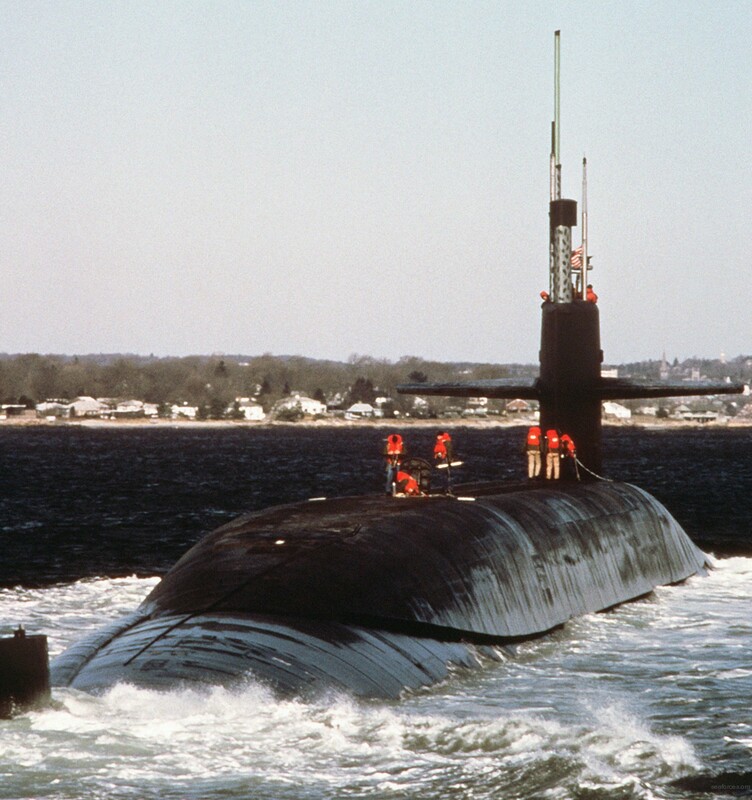 In January 1985, she started her first strategic deterrent patrol. 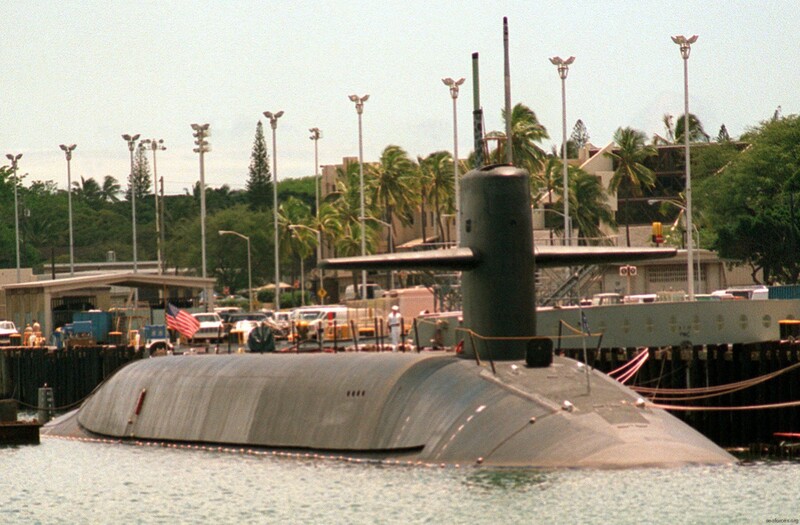 USS GEORGIA was awarded a Meritorious Unit Commendation for operations from September 1983 to May 1986. 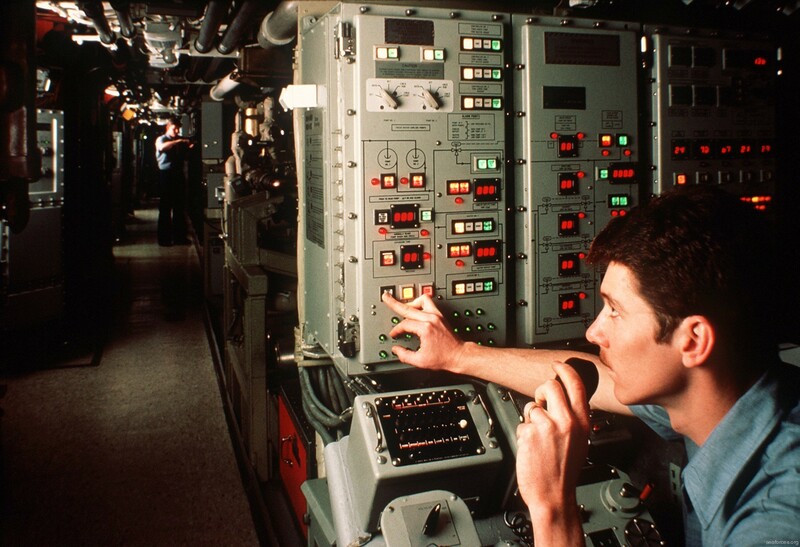 She was awarded her second Meritorious Unit Commendation for operations from February to August 1986. 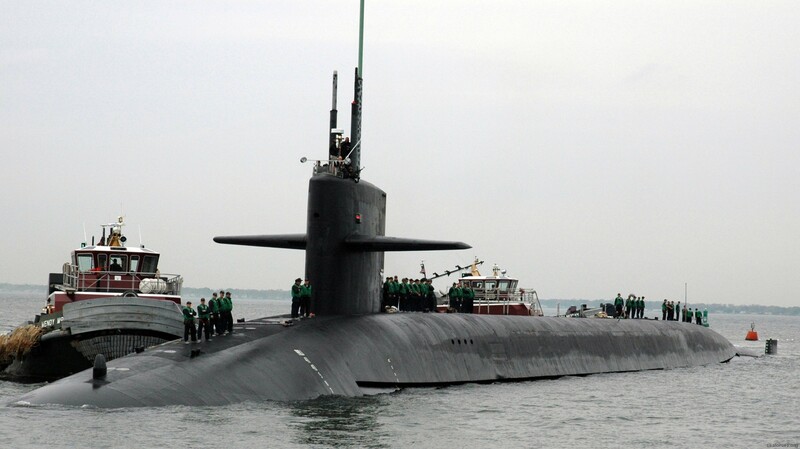 USS GEORGIA was awarded the Commander, Submarine Squadron 17 Battle Efficiency "E" in 2001. 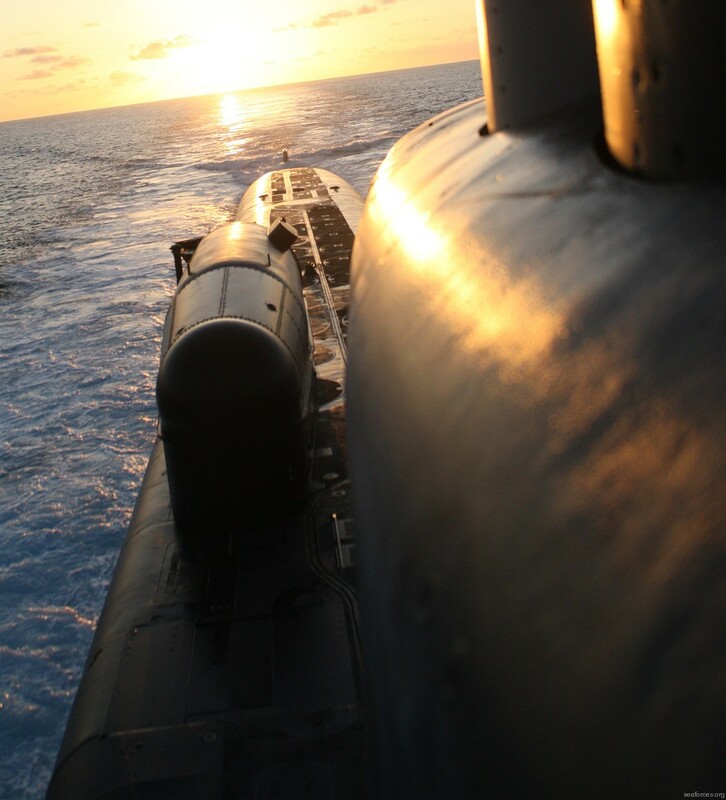 While serving in the Pacific Fleet, USS GEORGIA conducted 65 strategic deterrent patrols. 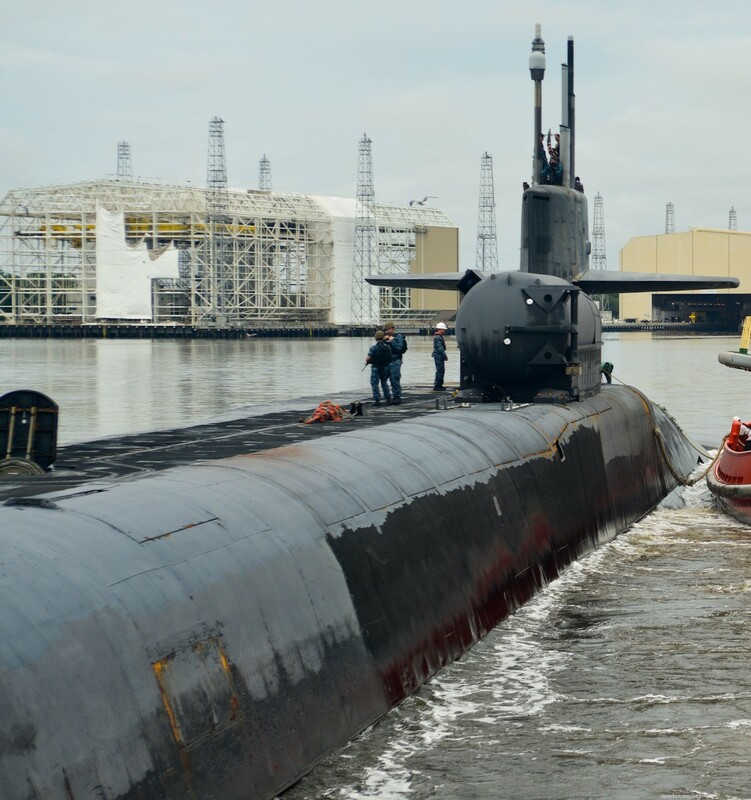 A key element of our nation's strategic deterrent forces, she continued the proud tradition established by her predecessors. 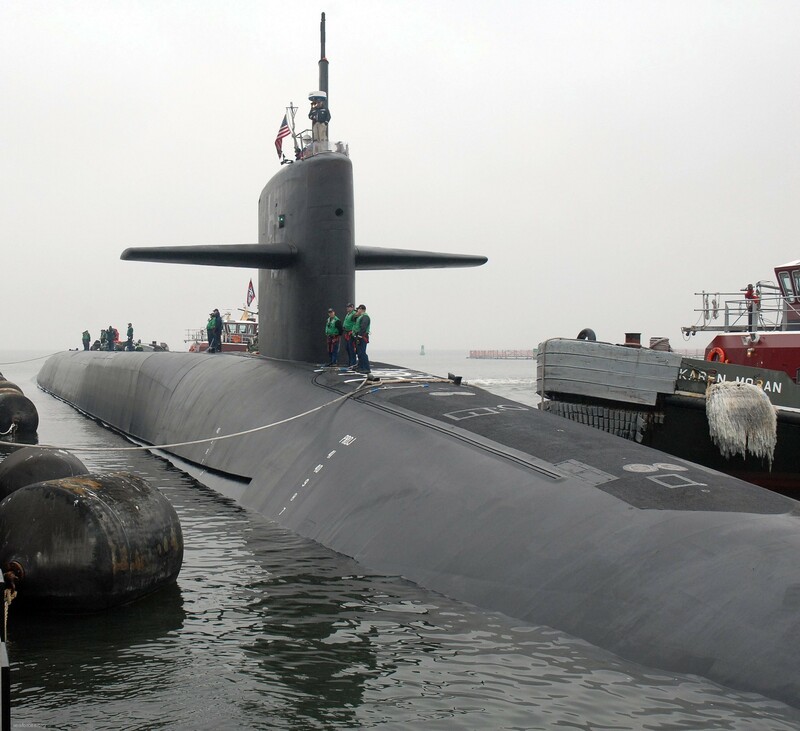 In October 2004, USS GEORGIA was redesignated to SSGN after the successful completion of exercise "Silent Hammer," the SSGN proof-of-concept operation. 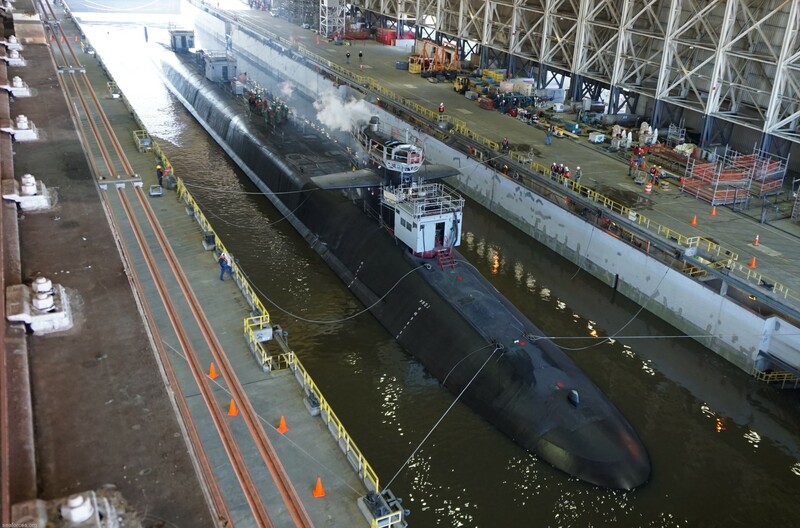 In February 2005, USS GEORGIA entered Norfolk Naval Shipyard for a scheduled Engineered Refueling Overhaul and conversion to SSGN. 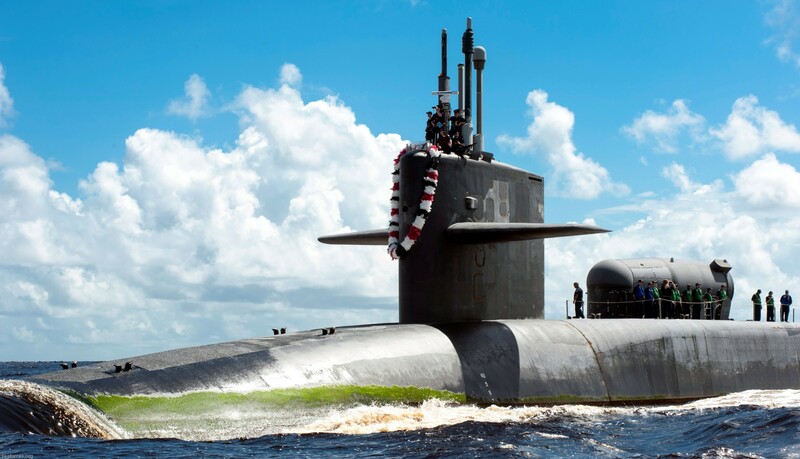 The contract to build her was awarded to the Electric Boat Division of General Dynamics Corporation in Groton, Connecticut on 20 February 1976 and her keel was laid down on 7 April 1979. 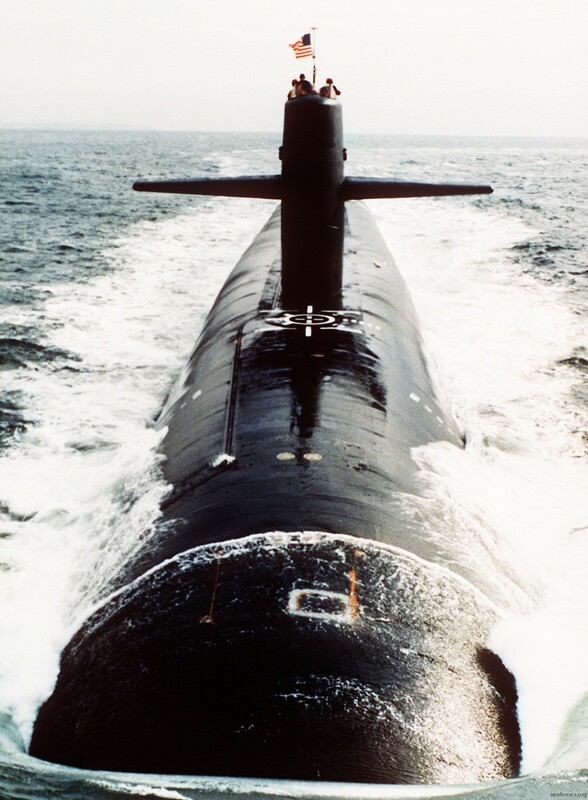 She was launched on 6 November 1982 sponsored by Mrs. Sheila M. Watkins, and commissioned as a fleet ballistic missile submarine (SSBN) on 11 February 1984, with Captain A. W. Kuester commanding the Blue crew and Captain M. P. Gray commanding the Gold crew. 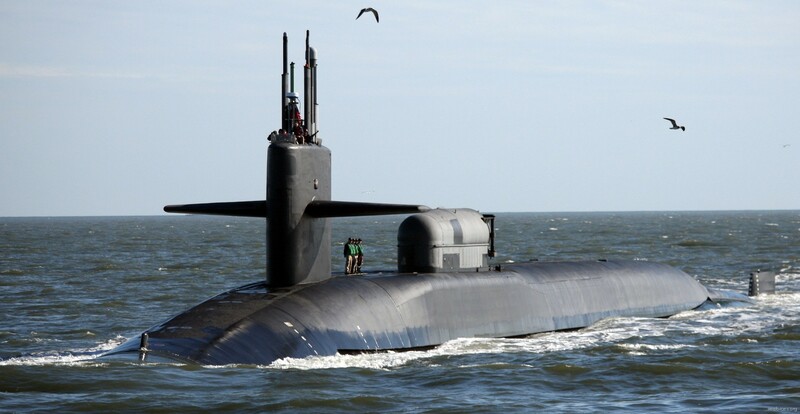 This ship was later converted to a guided missile submarine (SSGN) for carrying guided cruise missiles instead of fleet ballistic missiles in its missile compartment. 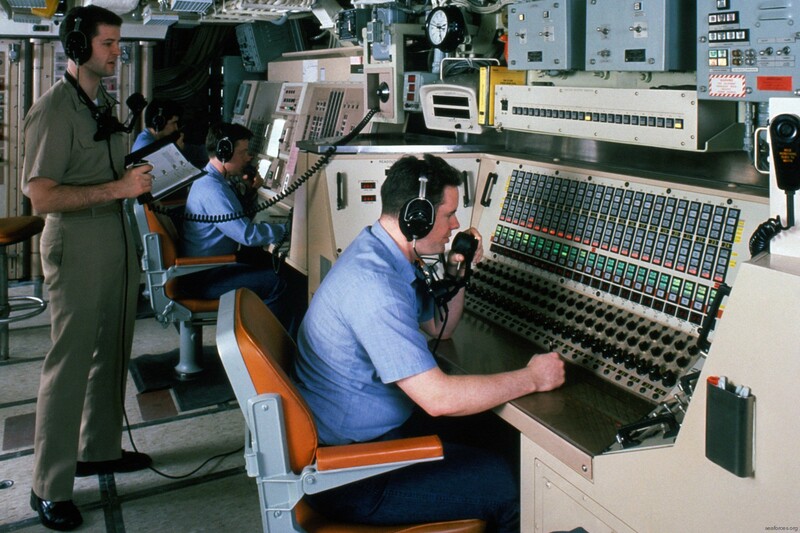 From March to April, 1984 she went on her shakedown cruise and test-launched a Trident C-4 missile in the Eastern Test Range on 7 April 1986. 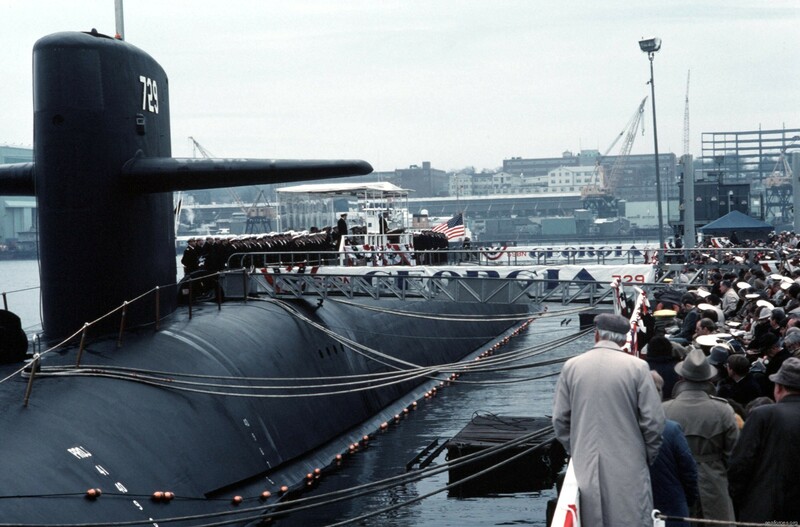 In November 1984, she arrived in her home port of Bangor, Washington. 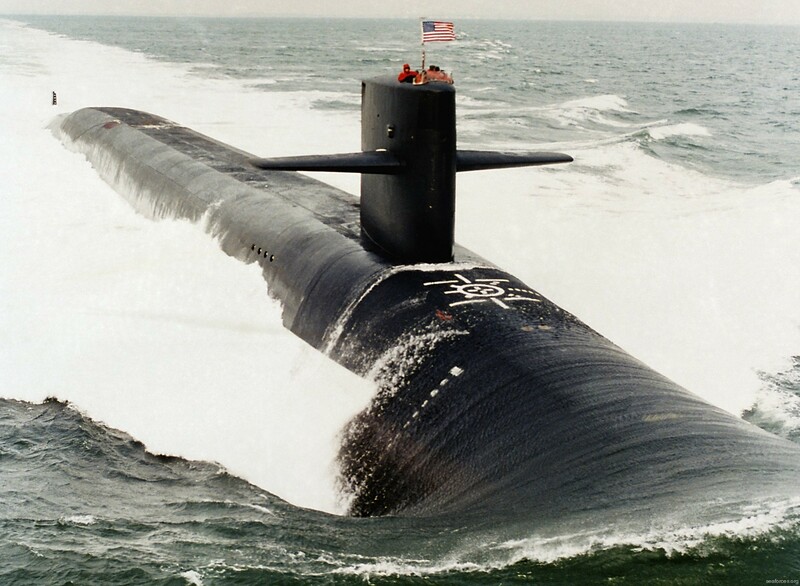 In January 1985 she started her first strategic deterrence patrol. 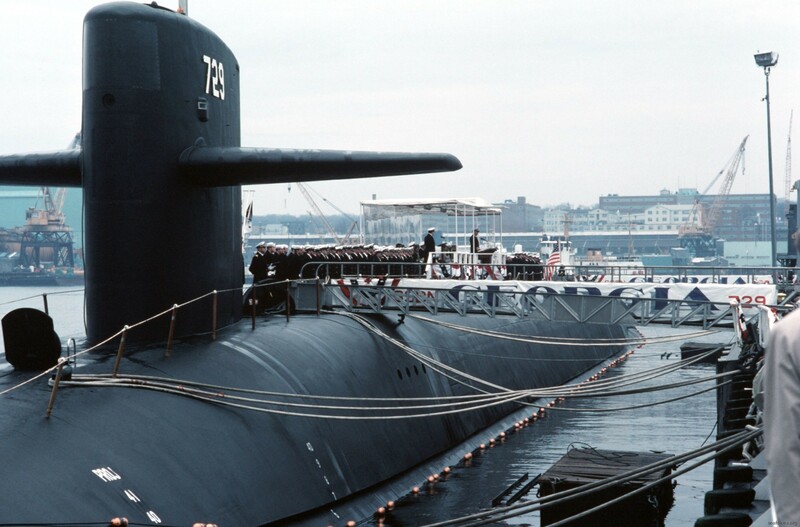 As an element of Task Unit 14.7.1 from September 1983 to May 1986, she was awarded a Meritorious Unit Commendation. 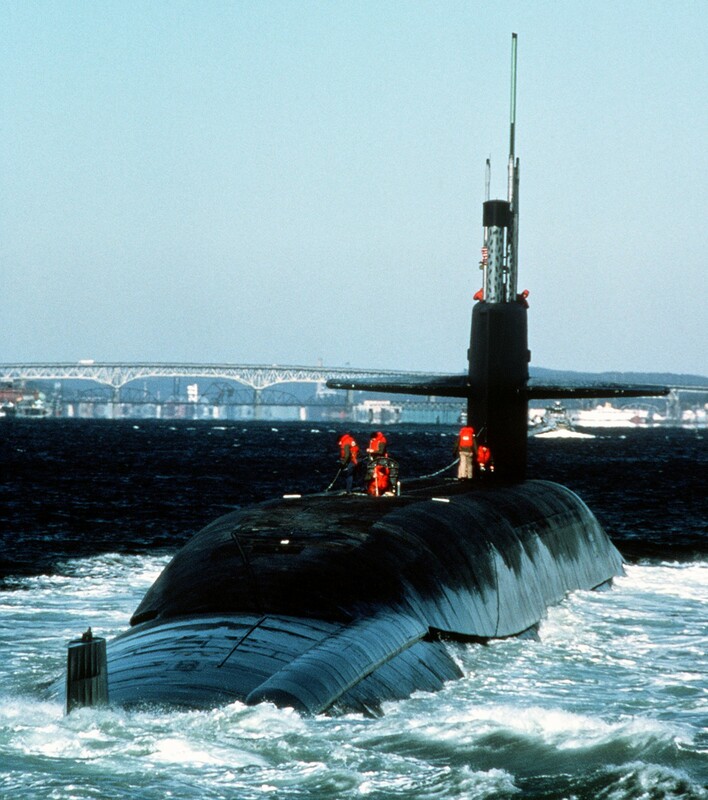 She was awarded her second Meritorious Unit Commendation for Submarine Operations between February 1986 to August 1986. 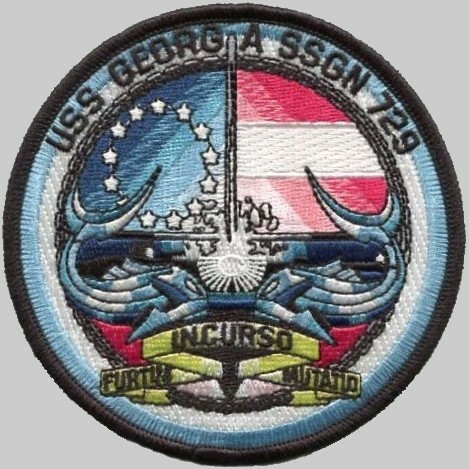 On 22 March 1986, three miles south of Midway Island, harbor tug USS Secota (YTM-415) had just completed a personnel transfer from Georgia, picking up a submarine crewman who was going on emergency leave, when Secota lost power and got hung up on Georgia's starboard stern plane while the sub's propeller continued to turn. That sank Secota within two minutes. 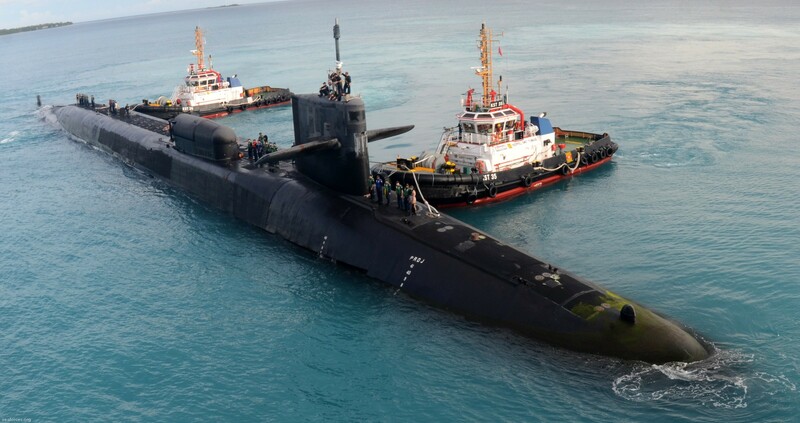 Ten people were rescued, including the Georgia crewman who had just transferred to Secota. 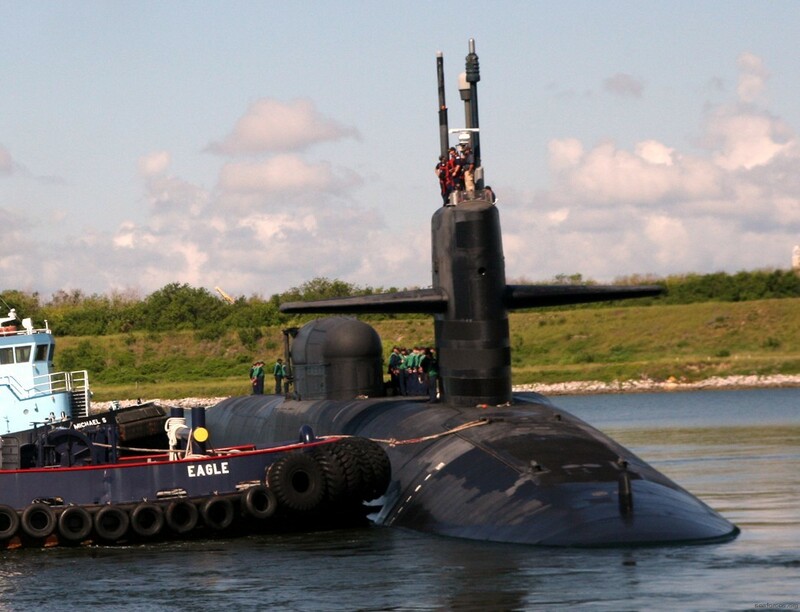 Two Secota crewmen trapped in her engine room were lost. 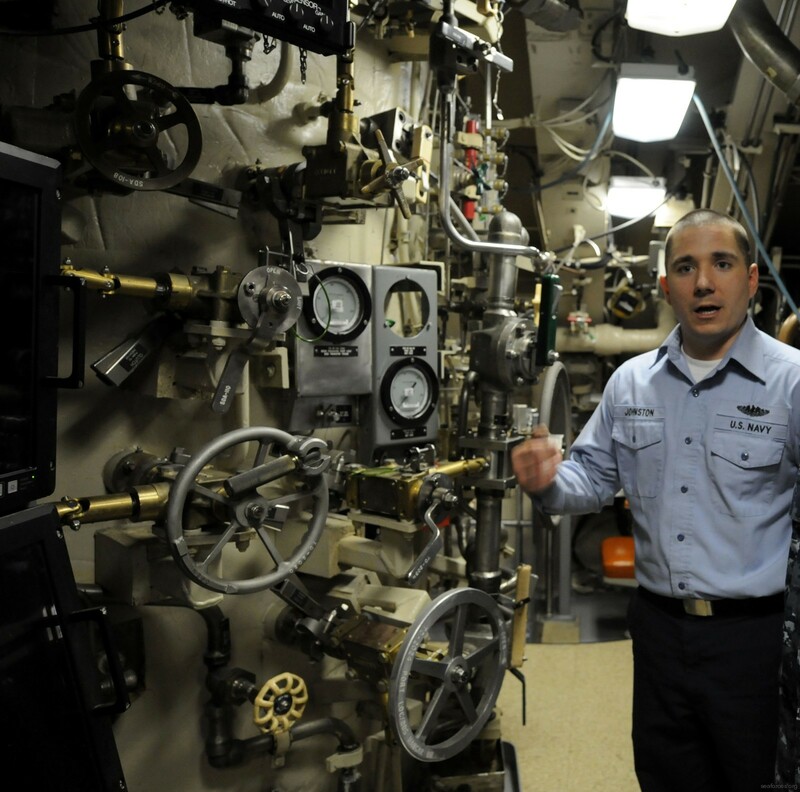 While Lt. Cmdr. 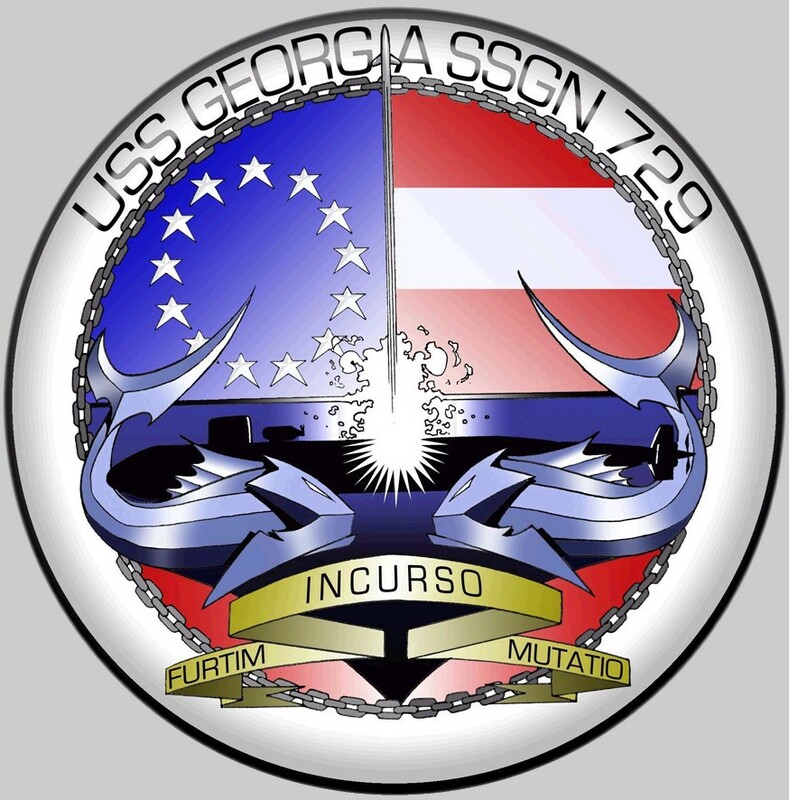 John Carman, a Navy spokesman for the U.S. Pacific Fleet, told the media that the Georgia was undamaged, a report sent by the Commanding Officer of the Georgia indicates that after returning the surviving Secota crew members to Hawaii, Georgia underwent emergency repairs for minor damage sustained in the collision. 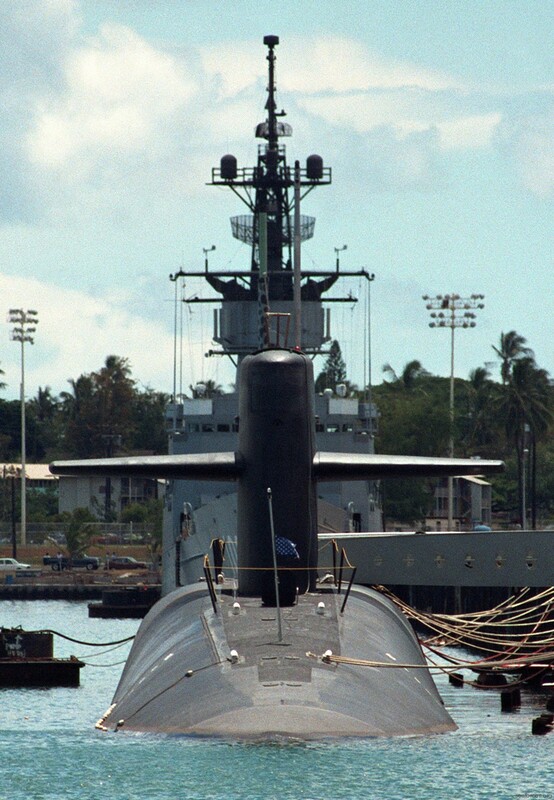 Her Gold crew was awarded the Comsubron Seventeen Battle Efficiency Award for 2001. 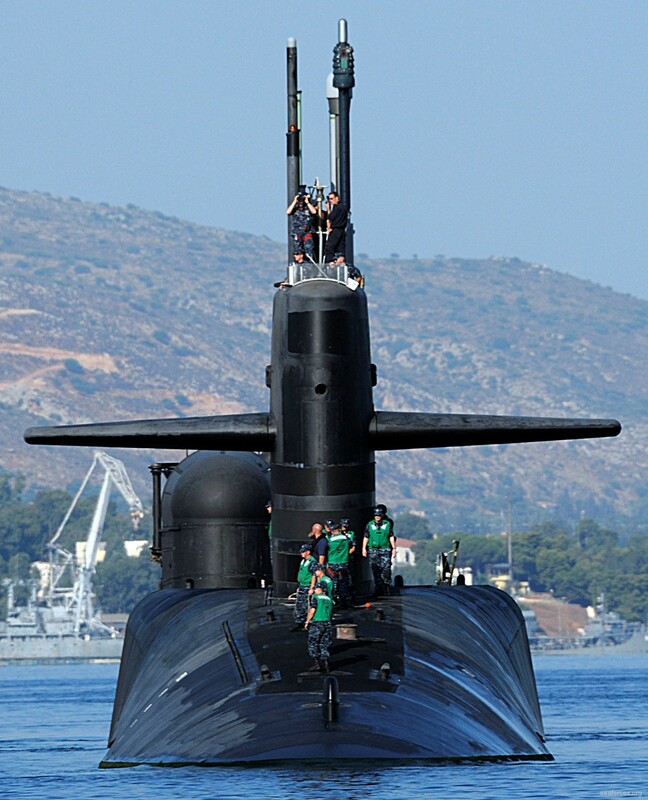 On 30 October 2003, Georgia returned from her 65th and last deterrent patrol. 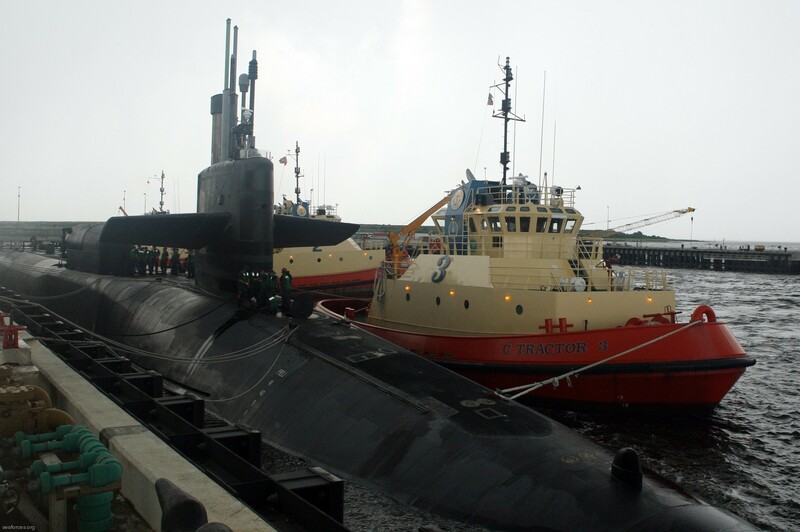 On 7 November 2003, while Georgia was docked at Bangor, Washington, her C-4 Trident I missiles were offloaded. The process proceeded smoothly until tube number 16. 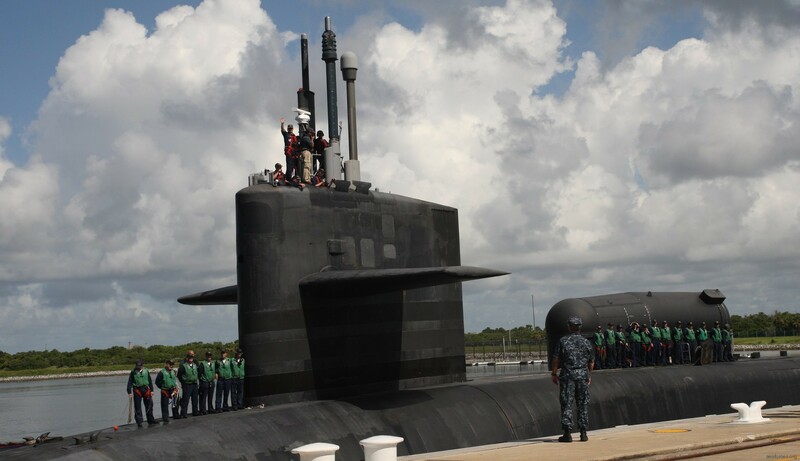 When each tube was opened, a ladder was lowered into the tube so a sailor could climb down and attach a hoist to lift the missile. 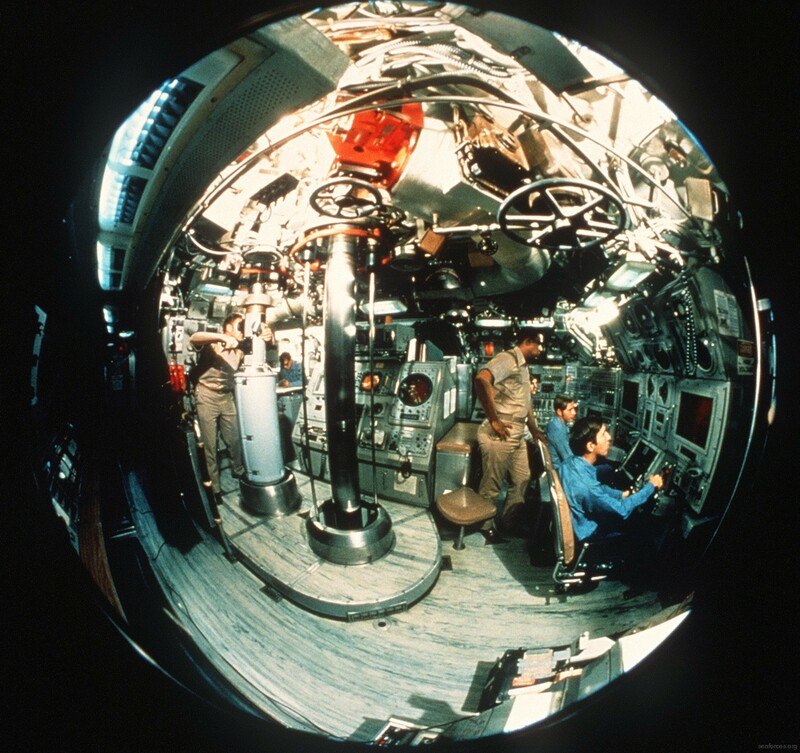 After attaching the hoist to the missile in tube 16, the sailor climbed out, and the crew took a break without removing the ladder. 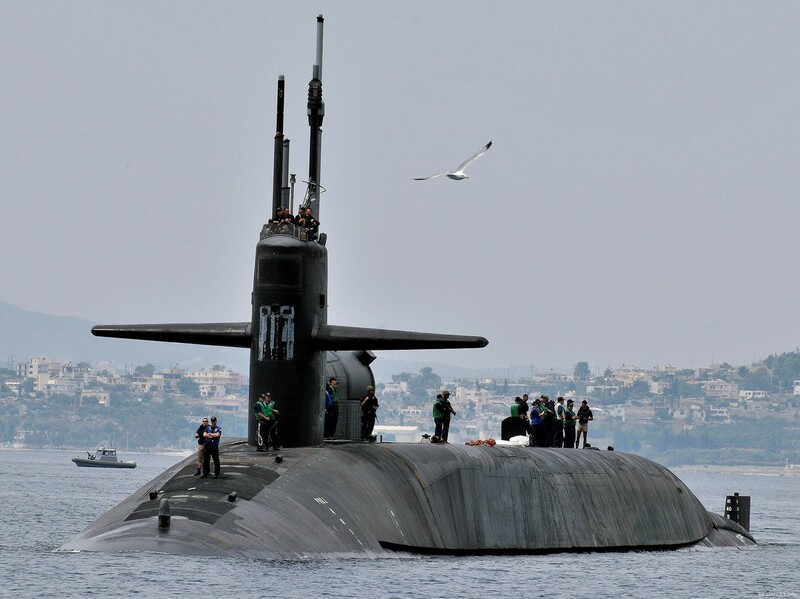 When they returned, they began to hoist the missile, pulling against the ladder and cutting a nine-inch (230 mm) hole in its nose cone. No radioactive material was released. 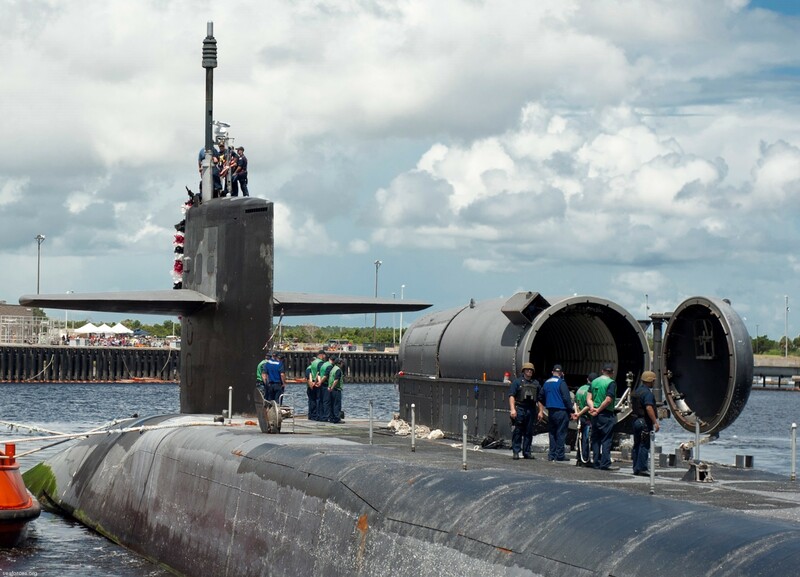 Three enlisted men in the missile handling team faced a court-martial. 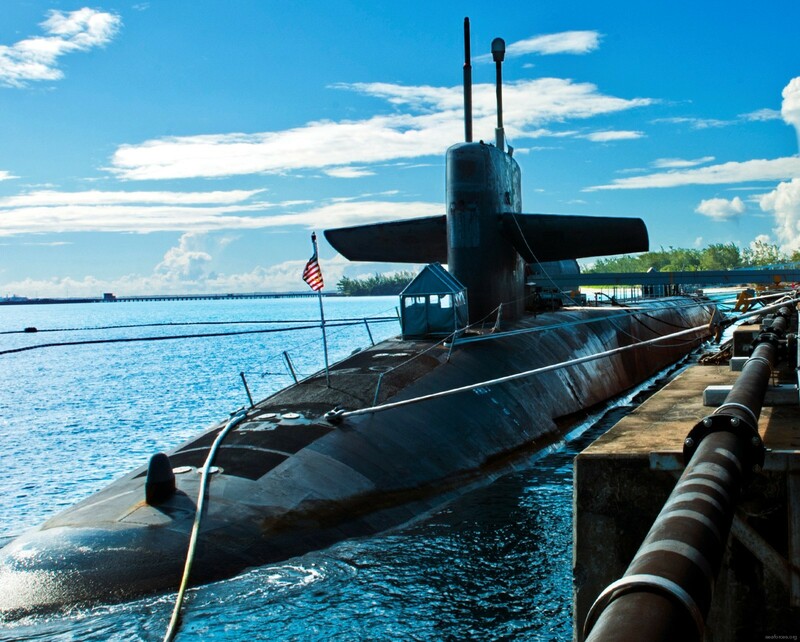 The Strategic Weapons Facility Pacific was immediately shut down and inspected by the Navy, and failed to pass. 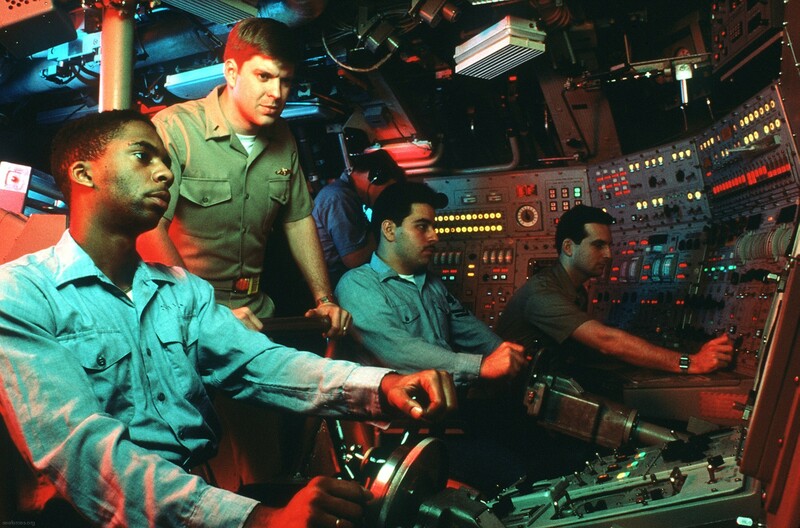 SWFPAC's commanding officer, Captain Keith Lyles, was relieved of command on 19 December 2003, followed by his executive officer, Commander Phillip Jackson, weapons officer, Commander Marshall Millett, and Master Chief Petty Officer of the Command Steven Perry. 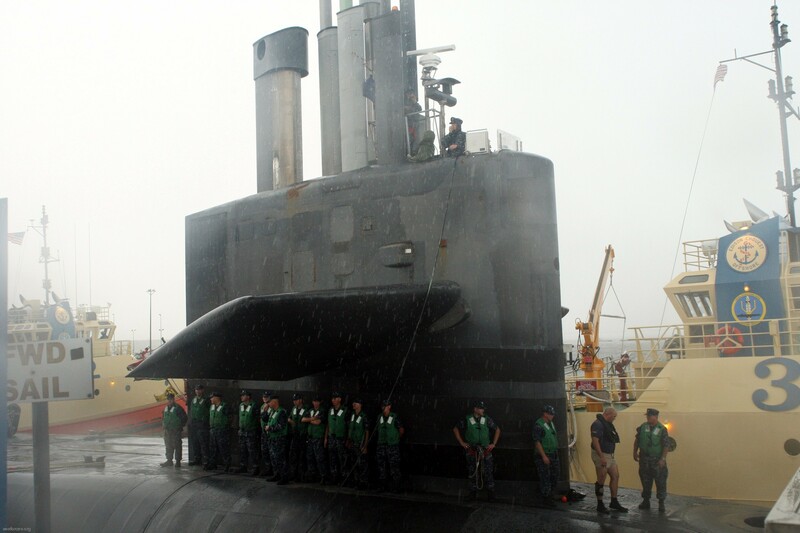 SWFPAC reopened after passing inspection under a new commanding officer on 9 January 2004. Georgia's crew was unaffected. Georgia was redesignated to SSGN on 1 March 2004. 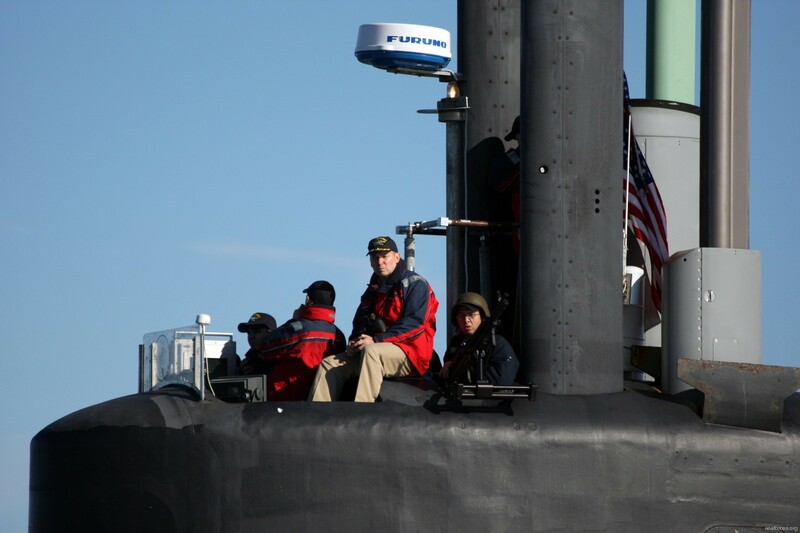 In October 2004 she participated as the command node of Exercise Silent Hammer to validate and showcase the new Joint Warfare and ISR capabilities. 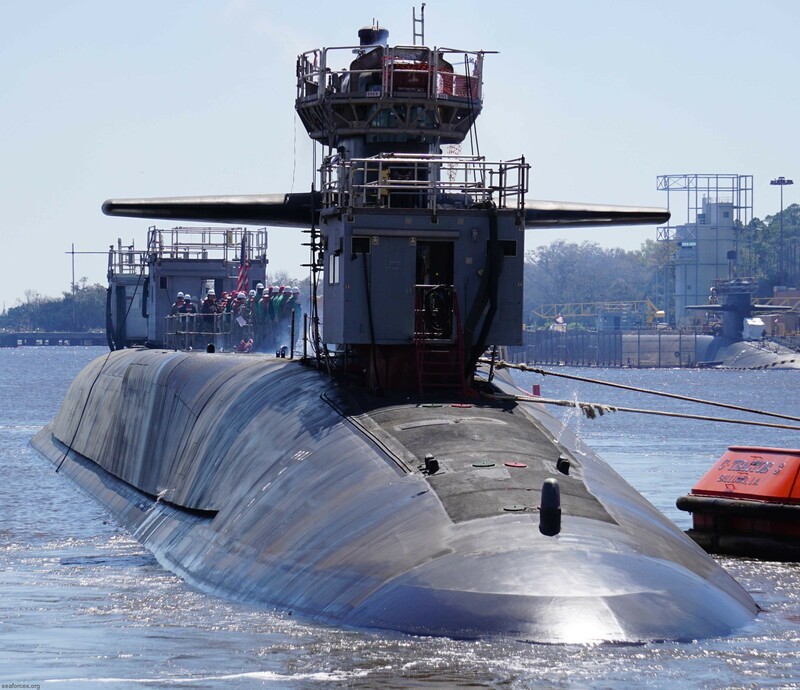 In March 2005, Georgia entered Norfolk Naval Shipyard for her scheduled Engineered Refueling Overhaul. 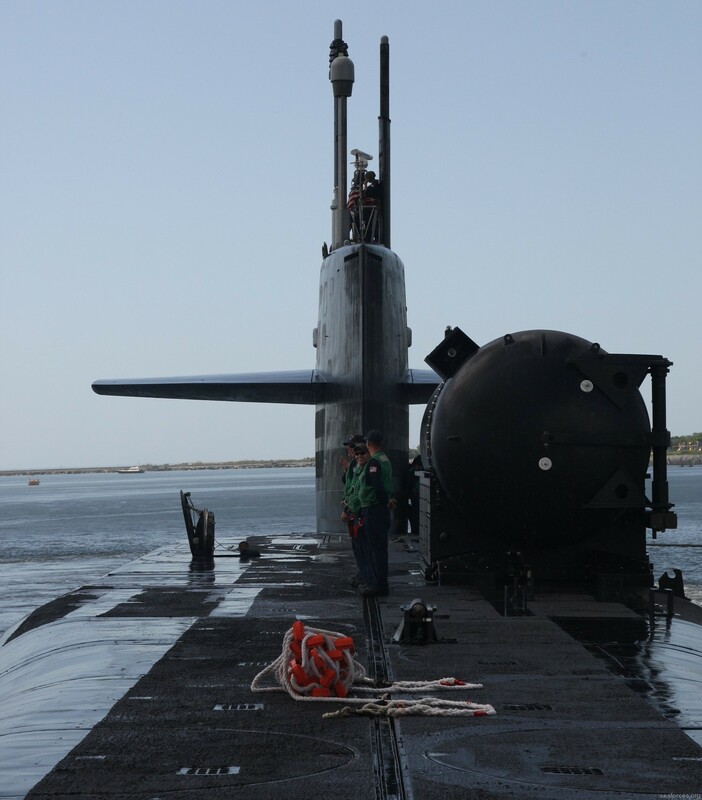 The SSGN conversion took place concurrently. The conversion and refitting work was completed in February 2008. 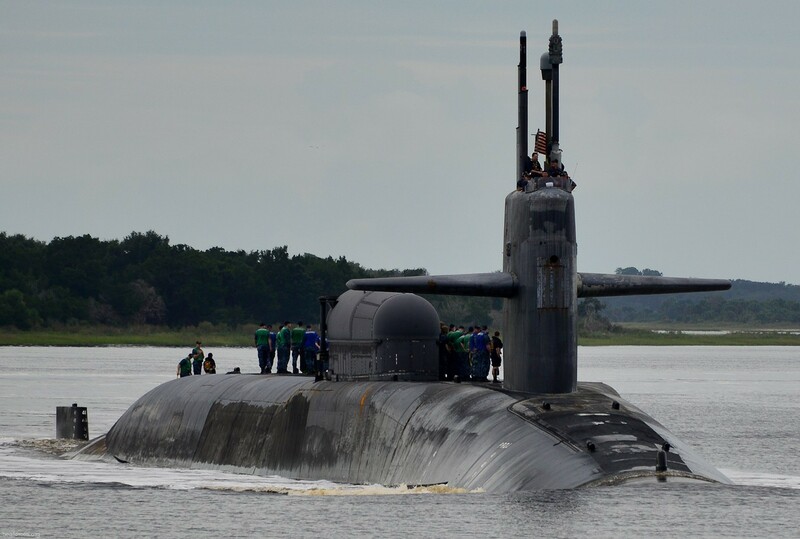 After the refit, Georgia moved to her new home port in Kings Bay, Georgia. 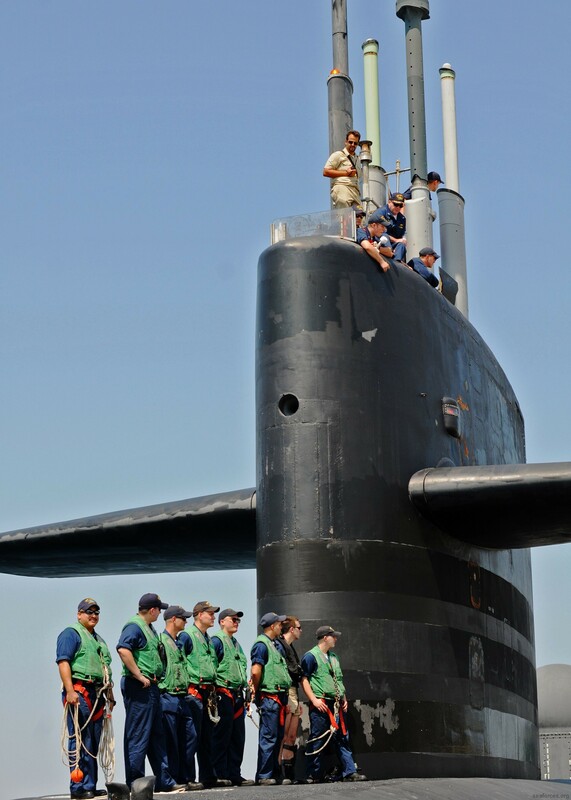 Georgia was officially welcomed home in Kings Bay, Georgia, on 28 March 2008 in a return to service ceremony attended by Governor Sonny Perdue. 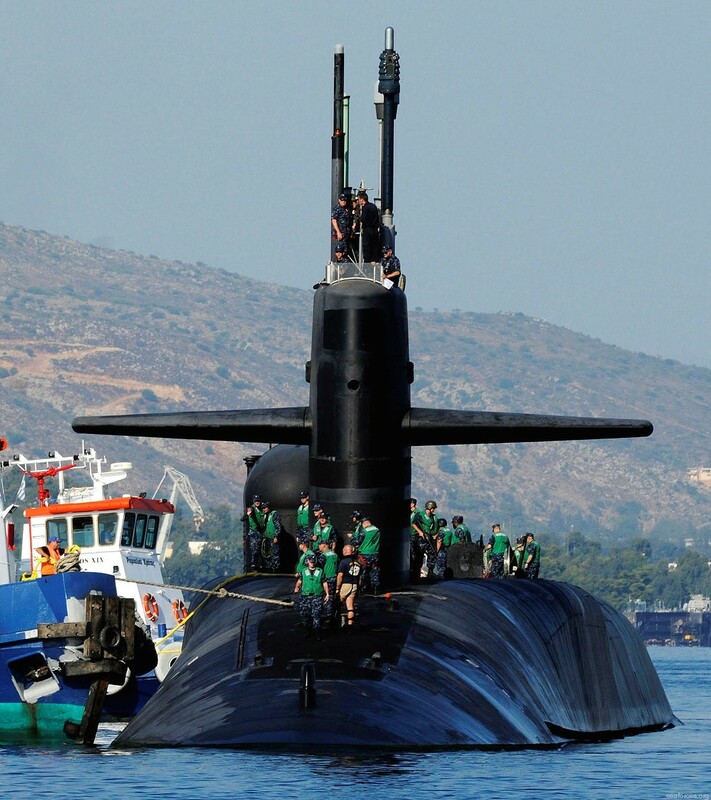 On August 2009, Georgia began first SSGN deployment. On January 2010, Georgia earned Squadron SIXTEEN battle efficiency "E" for 2009. 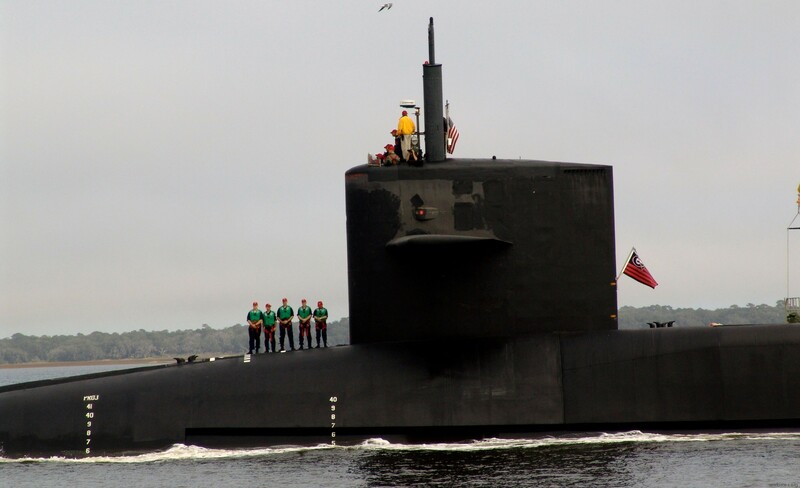 GEORGIA Blue crew earns Squadron SIXTEEN Engineering Red "E", Navigation Red and Green "N". 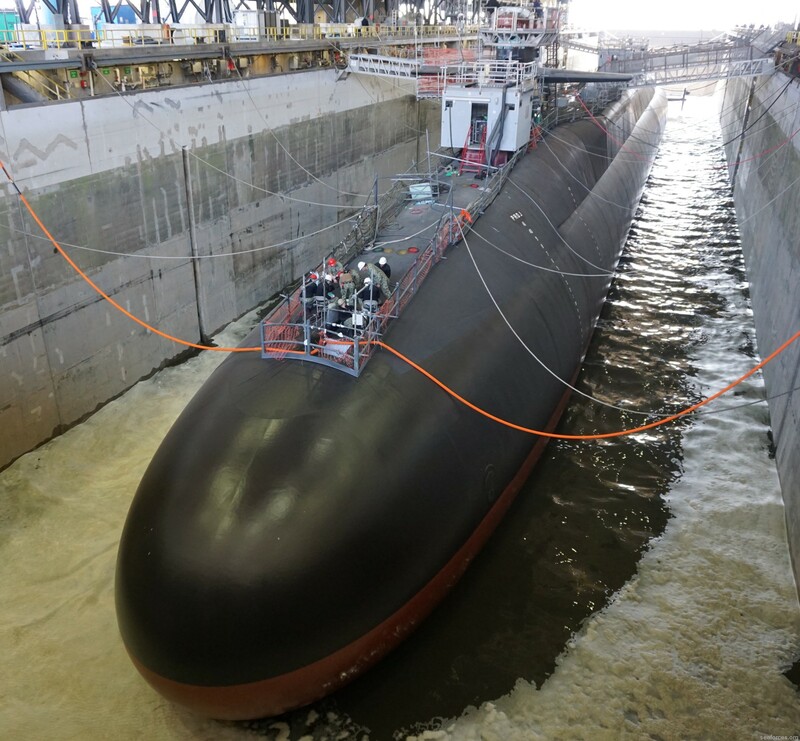 In December 2010, a bolt inadvertently left in one of the sub's engine housings did $2.2 million in damage and forced the boat into three months of repairs. 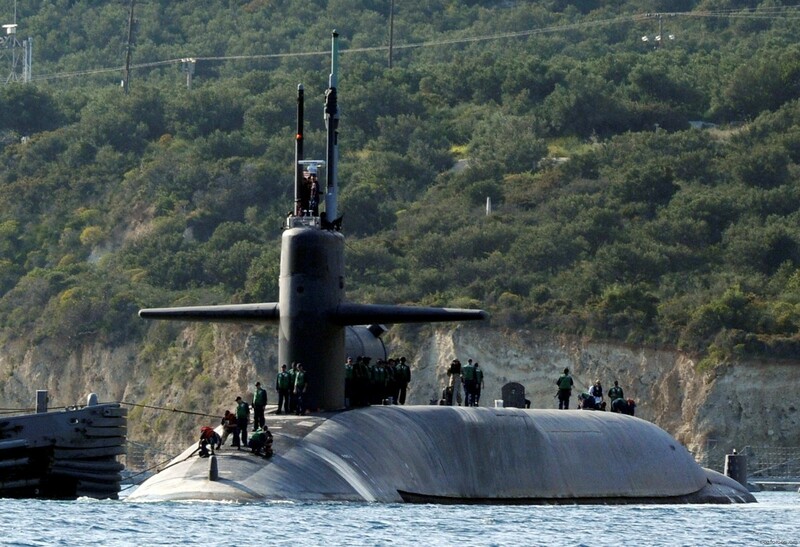 One officer and several enlisted sailors were disciplined over the mishap. 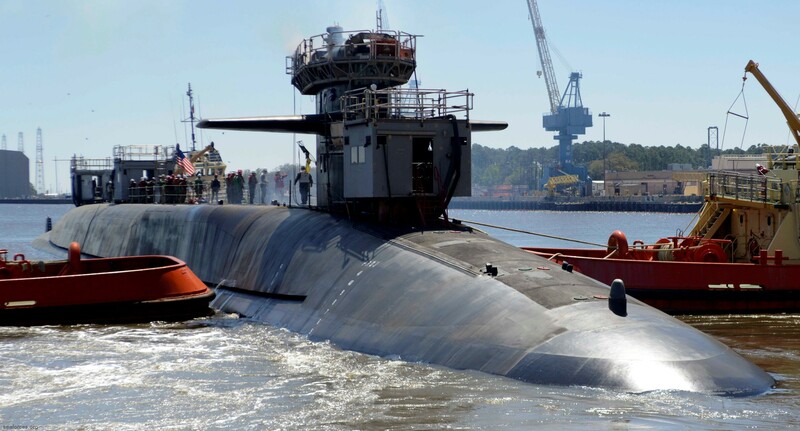 On 25 November 2015, Georgia struck a channel buoy and subsequently grounded whilst entering the Kings Bay Naval Submarine Base. 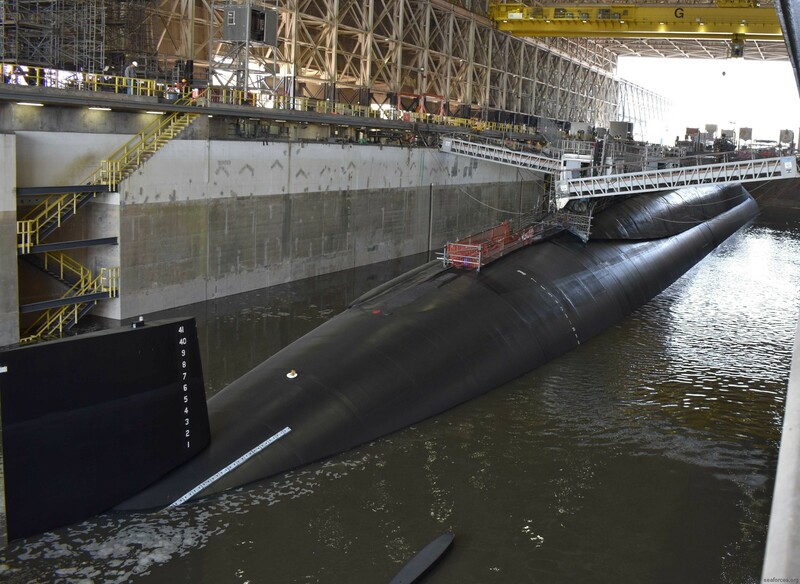 The ship was placed into drydock for inspection and repairs which cost about $1 million. 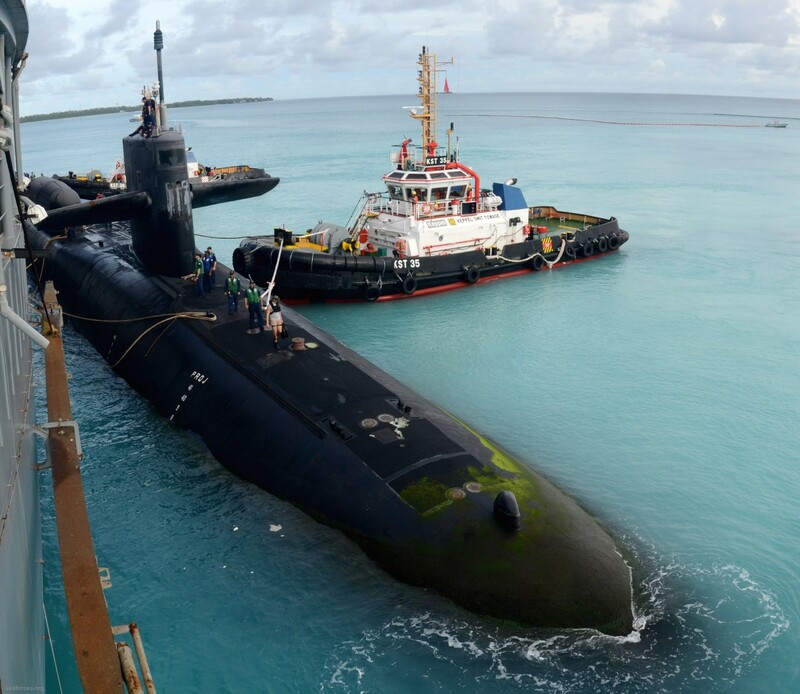 The navy stated that the damage was limited to the exterior of the sub and the hull was not compromised. 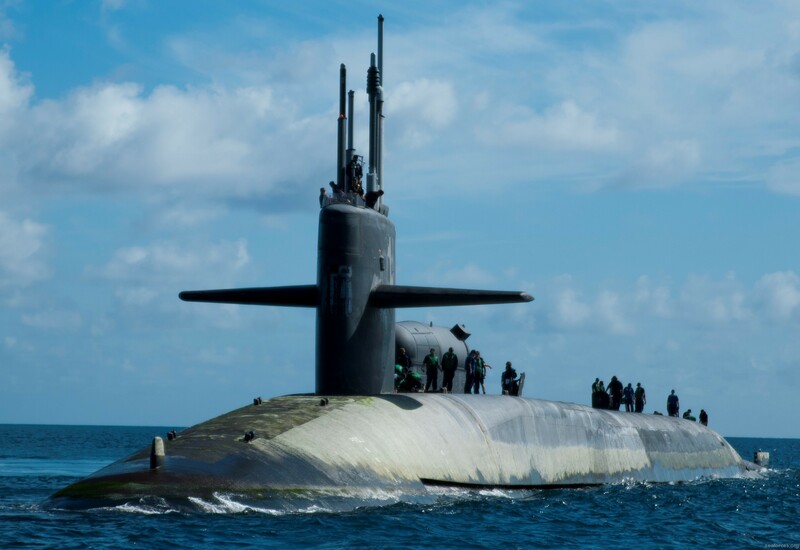 The commanding officer of the Blue crew at the time of the accident - Captain David Adams - was relieved of duty on 4 January 2016 by Rear Adm. Randy Crites.